ROBsessed™ - Addicted to Robert Pattinson: New Moon Running Time...2 hours! 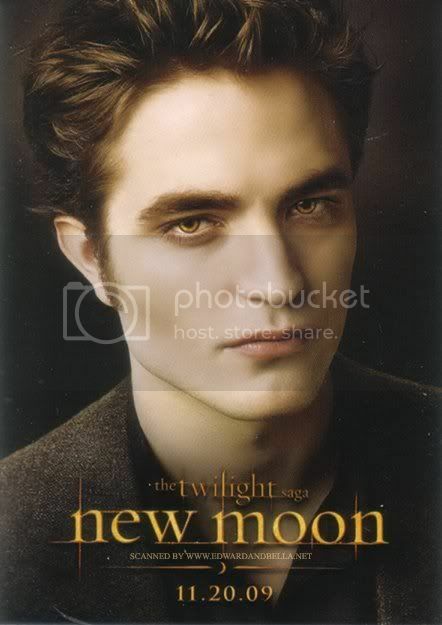 New Moon Running Time...2 hours! I think is pretty short..i want like 2:30..
OME! You must have read my mind. I was wondering about that & trying to figure that out since dum Fandango & Movie.com wouldn't tell me how long the movie was. Hahaha...I thought it would be 2.5 hrs based on the showtimes. Are you sure??? How the heck did they go from 3 hrs to 2 hrs??? What the heck did they cut out??? Im scared..first I heard the movie was 5 hours long and obviously they have to edit..but that much!! Almost a year waiting for 2 hour..and we are going to see like 30 min of Rob.. Twilight was 2 hrs & 2 minutes!! What the heck??? That cannot be right. Maybe the source is wrong! I hope so. I'm going to stick with my 2.5 hrs. 2 hrs is better than 90 min-damn wish ot was longer! It should of been 3hrs - WHO WOULD COMPLAIN - nobody here !!! woah woah buddy!!! two hours is all? man i was hoping for a two n a half as well ladies. i hope chris is happy with the end result and he had not gotten screwed over like he did for golden c.
but hey let us look at the bright side... it's only a lil over a month away!! whoo hoo! i love me some robward!! @ Dani - Thank you for this photo again. My #1 favorite representation of Edward Cullen. 2 Hours? That's it? Oh wells, I guess I shouldn't complain. Any footage of Rob is greatly appreciated. Even if I have to put it on repeat in order to see him over and over again. Lol. Thanks Dani! 2 hours is way too short. Common. They must've cut a hell of a lot of stuff out. I think 2 hours is good, I personally hate movies that go over 2 hours, even if it is Rob. They probably (hopefully) took out a bunch of the middle stuff with Bella being all emo since there was so much of it. That part kind of bored me. Awww, bless Rob's Elfish ears! :D He would have made a stunning Legolas! Aha Athena I've often thought the same thing, shame he was tooyoung for LOTR and some kind of elvish part - would love to see him in something mythical like that. I have heard a paparazzi in a clip actually say "look he's even got pretty ears". Was Twilight 2hrs? Wow that movie just flies by. As I said nothing would be long enough anyways. Chris has some 'splainin ta do. Still will need a lot of coffee or V for the midnight screening LOL! If it has been cut back, just think of all the outtakes on the DVD version to look forward to. Maybe they're worried that anything longer than 2 hours would be too long for the tween/teen age groups. Yeah! I hope Eclipse;s running time will be 2:30.
breaking dawn should be like 3.5 hours! OK bring it on already!! Is it November??? That seems really weird that both Twilight and New Moon are exactly the same of 2hrs 2min. I was also hoping for longer if it means more quality content. Trick or Treat? Zygote Rob Strikes Again! Robert Pattinson's Tongue: Nuff Said! 'New Moon' Birthday Scene: WARNING Spoilers! Robert Pattinson Singing in "How to Be"
Robert Pattinson: Gotta have my pops?